Range Grill + Golf includes 6 PGA endorsed golf simulators as seen on the Golf Channel. If indoor golf is new to you, here is what to expect. Reserve a tee time on our website or by calling us. You will reserve a simulator by the hour, typically it takes 1 hour to play 18 holes per person. If you are here to enjoy a leisurely round, warm up beforehand, or do not want to rush, we recommend adding an additional hour. Range has clubs available to rent but highly recommend bringing your own clubs with you to get the most out of your experience. Our simulators are extremely accurate thus when you hit your clubs they will react the same in our facility as they would on a real golf course. Having this type of simulation allows you to work on your golf game just as you would outdoors; some would say better because you are getting data on every shot you hit. Range Grill + Golf’s simulators – the most advanced simulated golf and gaming equipment in the industry – are available to golfers and guests to reserve through hourly tee times. 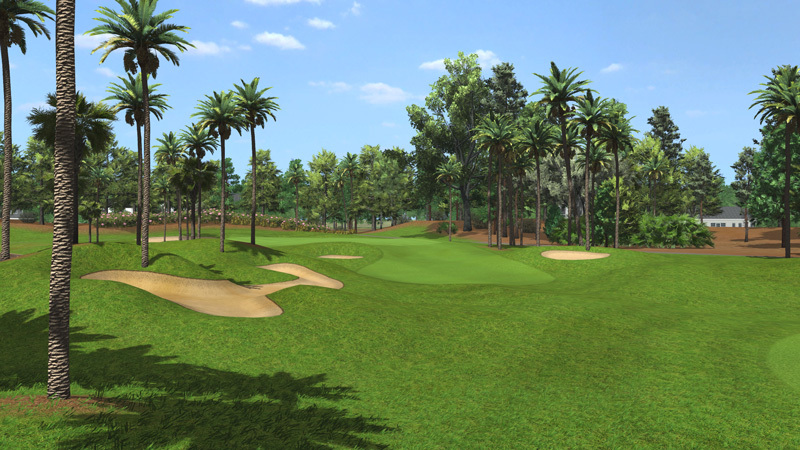 Pricing is based on the simulator chosen as well as the time needed to complete the round (9 holes or 18 holes). The two styles of golf simulators available to our guests give entirely different golf experiences. 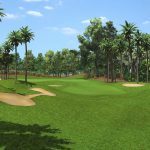 Standard Golf Simulator (Wide-screen) – $45.00 / hr. All you need is a single ball and a love of the game! 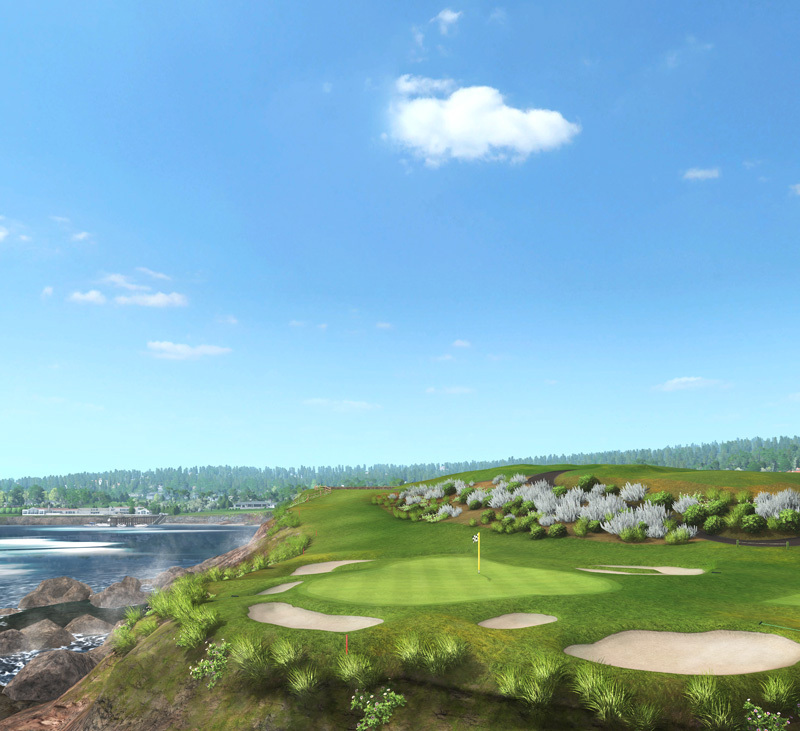 Golf against a 17′ wide simulator that takes you to some of the most beautiful golf courses on the planet. Watch the ball leave your club face and fly down the fairway with realistic line-of-sight display. 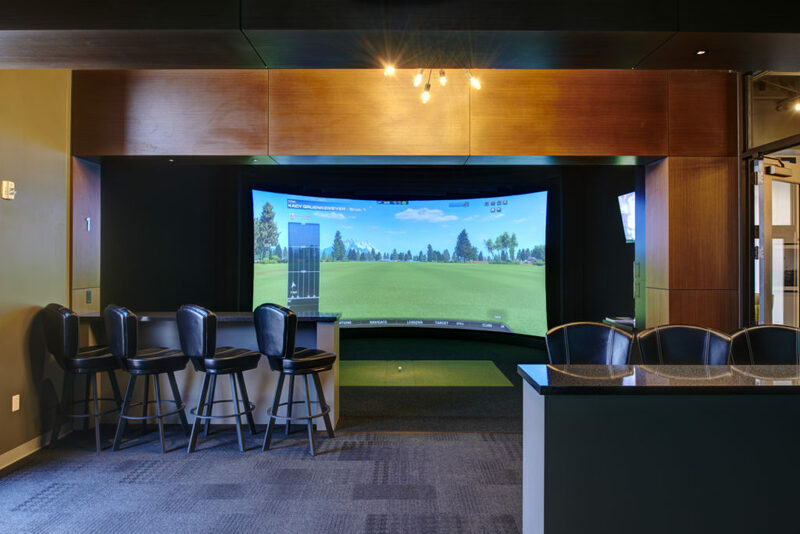 Advanced Golf Simulator (Curved-screen) – $55.00/hr. At Range, you always have perfect weather. 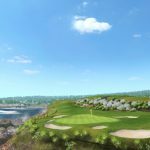 With over 20′ of golf course wrapped around you, it will feel like you are right on Pebble Beach, St. Andrews or any number of pro courses available to choose from. When you strike a clean drive and watch your ball fly, or when you clean an iron and it checks up right next to the pin – It’ll have you feeling just like the pros! Please note that ALL tee times will be shortened by 5 minutes to allow Range Grill + Golf to prepare the simulator area for the next group of guests. While golfing you have access to a full bar menu that includes over 20 beers on tap and a full premium cocktail menu. You are also able to enjoy our entire food menu with table-side service without having to interrupt play.